“Foundation” is the last word any homeowner wants to hear when it comes to structural issues. Much like any great investment, you’re only going to get out what you put into a house, and if you’re looking to won the house for a while, or even flip it, you’re going to have to address the foundation. Especially if you live in Texas. In 2003, Texas was seventh in the nation when it came to frequency of building failures, and according to some sites, we now lead the nation with 20% of all national foundation failures. If you’re familiar with the problem with foundations in Texas, you’ve probably heard that it’s all to do with the soil, and while this is partially true, this doesn’t mean Dallas residents just have to “deal with it” and pay exorbitant amounts of money on foundation repair. As a matter of fact, most of the time you won’t need to replace your foundation if there is an issue. Foundation estimates can be so costly, it’s no wonder some people just go ahead and replace everything while closing their eyes and grimacing. This is why a free estimate can go a long way! Before you breathe that big sigh of relief, understand that it’s the soil around the foundation that’s generally the problem. Foundations are solid (hence, the name) and will only move when the soil around them moves. So, when does soil move? Soil expands when it’s hydrated and compacts when moisture leaves it. The clay soils of Texas mean a lot of thought has to go into construction, as they are very sensitive to changes in water levels. The good news is there is a way to deal with the ground here; the bad news is not every building built in Dallas was built by a skilled engineer. This is why residential buildings need the most work. Because the soil tends to be the root of the problem, this also means that most problems don’t require you to opt for a brand new foundation. This is not the case. The cracks themselves aren’t even that bad. 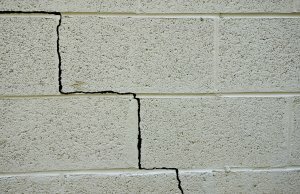 A crack in your foundation is a point of relief to allow movement. The site of the crack is usually not the problem. Movement elsewhere is what causes the crack to give in the first place, so when you see a crack, that is not where the problem actually is. A crack does not mean the entire foundation wall needs to be replaced, and anyone that tells you otherwise is trying to rip you off! There are even some cases where the cracking is merely a cosmetic issue. Wouldn’t that be great to find out? The one sure way to find out is to get an opinion from a professional, trustworthy source. To be truthful, there are some foundation repair scenarios where excavation is an absolute must. Now that the bad news is out of the way, you should be reveling in the time you live in! It’s the 21st century, and you better believe that methods of foundation repair have advanced enough that, depending on the nature of the issue, there are quite a few solutions that don’t require contractors to dig up your yard. Stabilization strap, reinforcement beams, these are just a few of the methods that keep your yard intact. The only way to know if these could work for you is getting a free estimate done. Any homeowner knows that a cheap home repair probably means that there was something missing in the quality of work. When it comes to fixing homes, it does cost a little bit of money, but it doesn’t have to cost an arm and a leg. Foundation repair can actually be a reasonable expenditure, but you have to have the right elements. Eliminating the cost of the estimate is one way to cut cost. Finding an honest contractor to do the work is the next big hurdle. You may have thought before that the words “honest” and “contractor” could never share space in the same sentence. The unfortunate truth is that it’s common for businesses to take advantage of clients in an industry that not many know. If your situation doesn’t fall into one of those two, repairs are the right choice. Did you know concrete actually grows stronger over time? Why do you think it’s the go-to building material? This aspect of concrete is also why the actual foundation is often not the problem. The strength of you concrete foundation depends on the strength of the grade upon which it is built. Unfortunately, Dallas is notorious for this issue (but you wouldn’t be reading this post if you didn’t already have an idea about that). So, what should you take away from all of this? Well, more often than not, your foundation is not the issue. Cracks aren’t as bad as they seem, and are not the location of your issue. Yes, it is possible to repair your foundation while leaving your lawn intact. An honest contractor can make all the difference. Don’t replace your foundation unless absolutely necessary! And last but not least, a free estimate is a homeowner’s best friend. My brother has recently found a few cracks in his foundation. He had a sinkhole in his yard, and he wants to make sure his concrete structure is still sound. I didn’t realize that there are many foundation repairs that can be done without the need to excavate large amounts of the yard. That’s a really cool fact I’ll share with my brother.